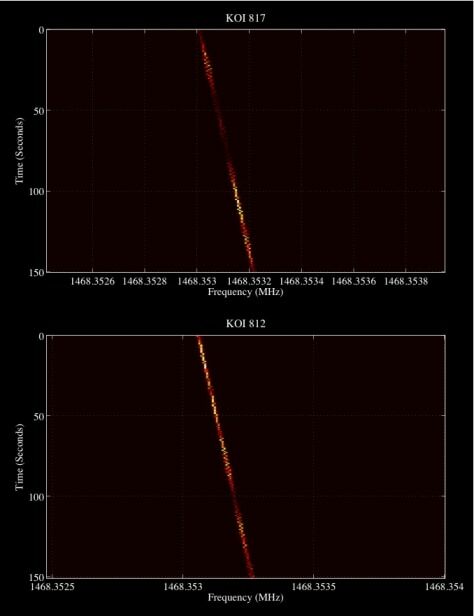 An example signal found by scientists working on the search for extraterrestrial intelligence (SETI), targeted at planets found by NASA's Kepler telescope. These are plots of electromagnetic energy as a function of frequency and time. Brighter colors represent more radio energy at a particular time and frequency.